Prioritise your bills and pay on the due date and not before, maximising the money you have in your account and minimising late fees. Become a bill expert; be notified of the billers that charge late fees or discounts for paying early. We’ll securely store all your bills for times when you need them – like tax time, charge disputes or proof of residence. Go paperless; you'll never need to receive printed bills again because we'll store your bills for when you need them. Billin is a mobile first bill management service that notifies you when to pay your bills, putting you in control of your finances and saving you money in late fees. Prioritise and pay your bills on the due date and not before, maximising the money you have in your account and minimising late fees. Traditionally, bills get printed and posted to you in the mail, with some billers now charging you for the privilege! More recently, billers have given you the option to receive your bill by email, offering various payment methods. Either way, all bills and billers are different and there is no single way of processing, storing and managing bills. Sign up to the free beta via our website and load your bills – we’ll process, store and manage them for you. 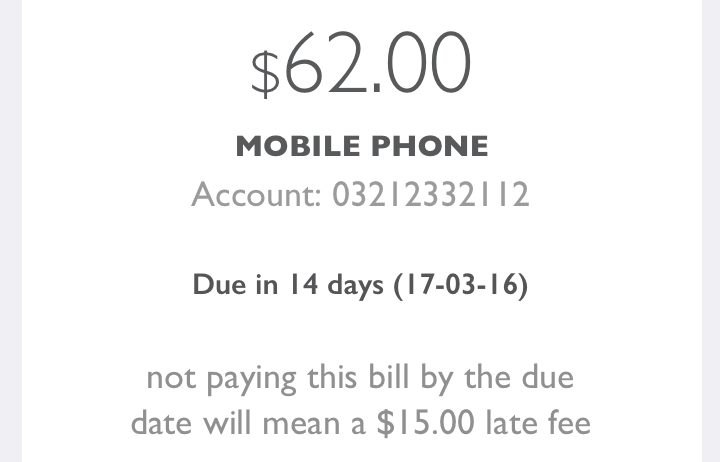 We’ll send you an SMS reminder when bills need to be paid and how they can be paid. We’ll even tell you what might happen if you don’t pay on time – late fees, cancellation of service, a rude email, you name it! 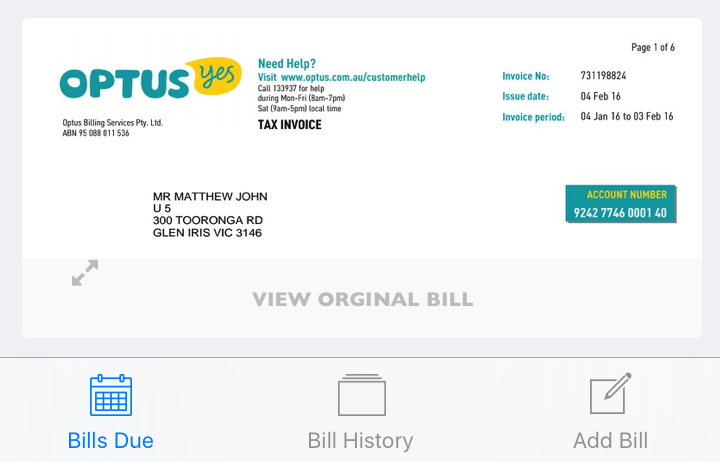 Billin will scan your email for bills and display them in your bill list in the Billin mobile app. We’ll notify you when a bill arrives so you can approve it, then we’ll issue you a reminder when it needs to be paid and how it can be paid. We’ll even let you know what could happen if you don’t pay on time – such as late fees or a cancellation of the service. Billin takes the important information of the bill, like the dollar amount, due date and biller, and displays it in your personal bill list. 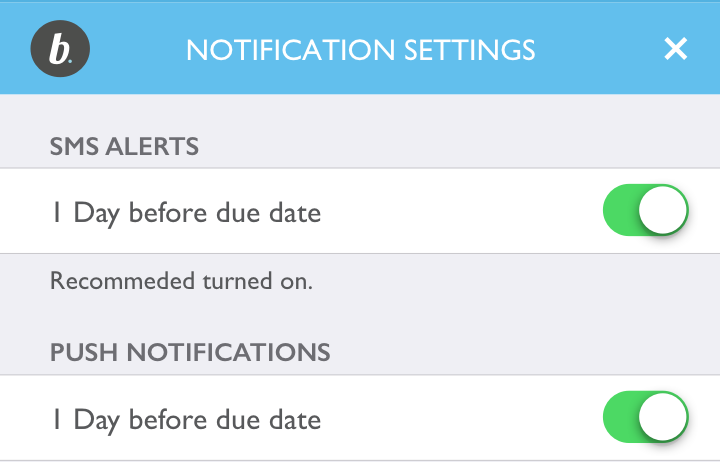 If you opt to receive reminders, Billin will prompt you to choose email, SMS or push notifications when the bill is due to be paid. 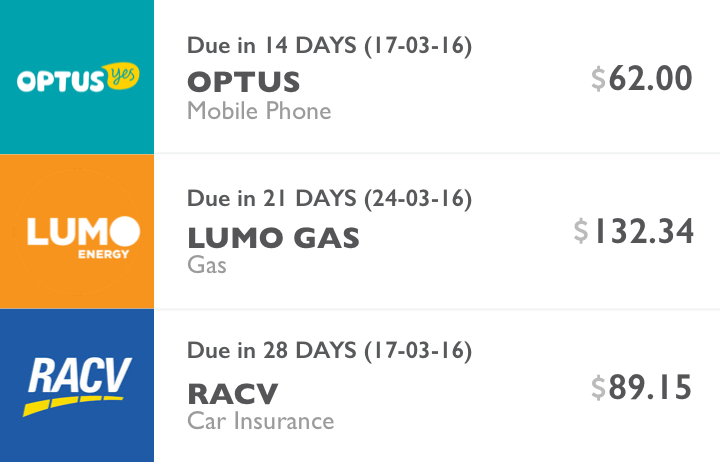 We'll also be adding the ability to pay your bills directly through the mobile app. 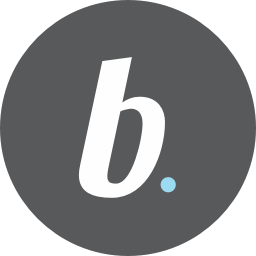 Billin understands that everyone's financial circumstances are different. We also recognise that everyone has a different process for paying their bills. Choose what suits and upgrade at any time! The road to simple bills starts here. Sign up to our beta version for the discounted price of $2.95 per month for as many bills as you have! Simply load your bills via our website we’ll process and manage them for you and notify you when they need to be paid. You’ll be the first the receive the mobile app once its been launched we’ll be launching new pricing once we’ve launched the mobile app so get the discounted rate today!